This story pays tribute to Tove Anger, someone who epitomised the positive spirit of community and celebration of activity that parkrun stands for. Tragically two weeks ago Tove passed away whilst on holiday in Spain. 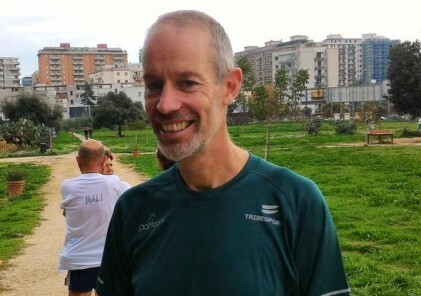 This came as a terrible shock, including everyone involved at Örebro parkrun, where Tove had been part of the core team that had started the event just over a year ago. 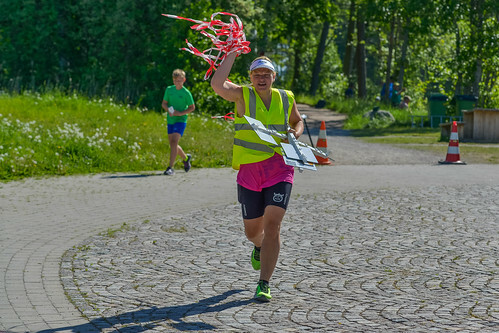 Tove had been active as a volunteer at parkrun throughout this time, whether it was as a funktionär out on the course, a Lead Bike, Tail Walker, Tokens or Timekeeper. She’d also worked at improving her PB, which she had got down to 24:18 in April of this year, and which she’d equalled at parkrun at midsummer this year (from where the lead photo in the article was taken). Tove was full of energy and stood passionately for the average “motionär”. Always encouraging people to be active. 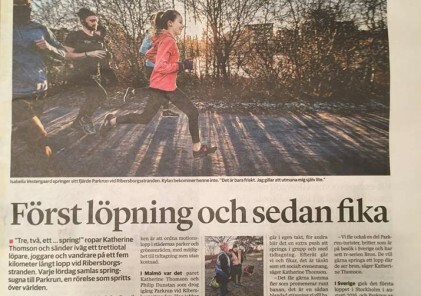 Not only was she involved with parkrun, Örebro AIK, swim-run groups but also started a running group in her local area for women who might have otherwise been nervous about running alone at night. Last week’s Örebro parkrun was held celebration of Tove’s memory, to celebrate her life and her contribution to parkrun and the local community. Running had played a big part in Tove’s life in recent years, and she was heavily involved in local club Örebro AIK. 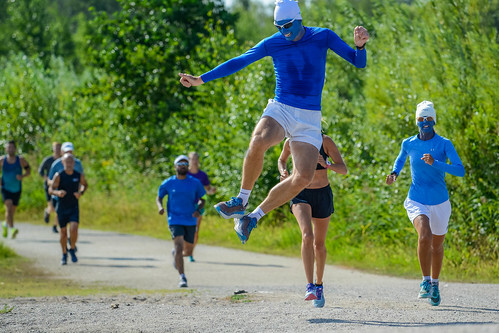 With the club colours of light blue, ÖAIK runners are affectionately known as ‘the Smurfs’, which explains some of the costumes on display! Tove was young and full of life, and much loved by all those who her knew her. She will be sadly missed by everyone, not least by the Örebro parkrun community. From everyone at parkrun Sweden, we send our deepest condolences to her partner and young family. We will continue to make Örebro parkrun the happy, welcoming place that we know Tove would have wanted us too.